MSRP: $71,510. GT Silver Metallic Exterior with Black Leather Interior. 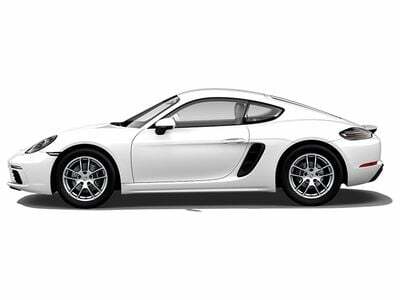 Extended Range Fuel Tank, 16.9 gal, 7-speed Porsche Doppelkupplung (PDK), Seat heating, Seat heating, Heated Multifunction Steering Wheel, Deletion of Model Logo, Porsche Entry & Drive, Bose Surround Sound System, Apple CarPlay incl. Siri, Preparation for Side Window Trim in High Gloss Black, GT Silver Metallic, Window Trims and Window Triangles in High Gloss Black, Sport Tailpipes in Black, Porsche Crest on headrests.